Akhil Sheoran clinched a gold medal in Men’s 50m Rifle Three Positions as India continued it’s superlative run at the ISSF World Cup in Guadalajara, Mexico. The 22-year-old Akhil became the fourth Indian shooter to win a medal on World Cup debut. 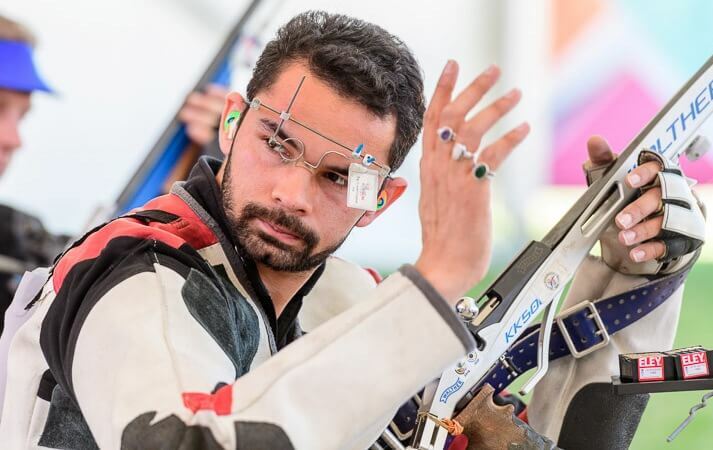 Akhil shot 455.6 in the finals to claim the gold in very classy field, which included multiple World Cup medallist Peter Sidi of Hungary, World No. 1 and Rio Olympic bronze medallist Alexis Reynauld of France and Hungary’s young and talented shooter Istvan Peni. 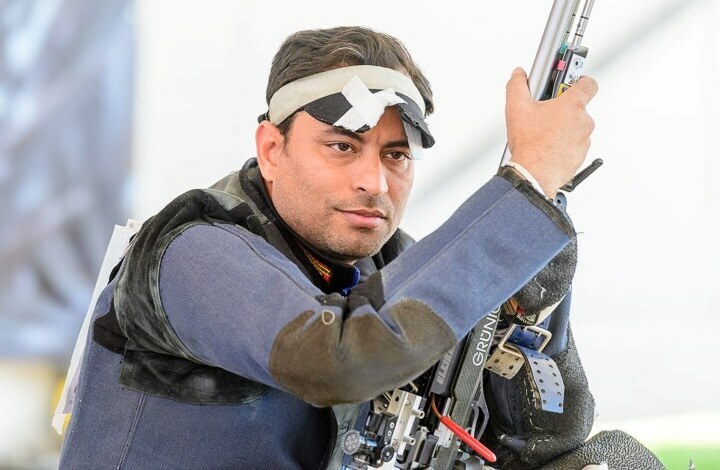 Earlier in the qualification, the experienced Sanjeev Rajput shot the second best qualification score of 1176 (Kneeling 392, Prone 398, Standing 386), two points behind Istvan Peni. 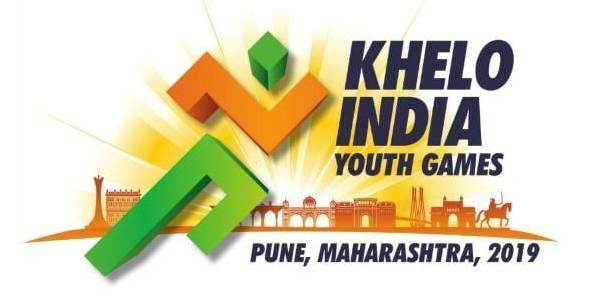 Akhil shot 1174 (Kneeling 392, Prone 394, Standing 388) while young Swapnil Kusale, who is also competing in his first World Cup, shot 1168 (Kneeling 386, Prone 392, Standing 390) to ensure all three Indians made the cut for the finals. In the finals, Sanjeev was leading at the end of both the kneeling and prone positions, 0.9 point ahead of Akhil. However after the first 10 shots in the standing position, Akhil moved up to the top spot with a lead of 2.3 points while Sanjeev slipped down to 4th position. Akhil shot a brilliant 10.8 on the 42nd shot and ended with another 10.8 to seal the gold with a clear margin of 3.6 points. Sanjeev also shot a 10.8 on the 43rd shot but it could not help him to finish on the podium and he had to be content with the 4th place with 430.9 points. He was followed by Hungary’s Peter Sidi, who finished 5th with 419.4 in his 64th World Cup participation in this event. 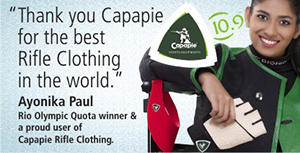 The third Indian in the finals, Swapnil finished 6th with 407.2 points. 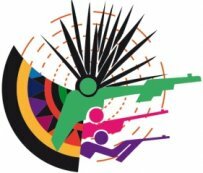 Berhard Pickl of Austria won the silver while bronze was won by Hungary’s Istvan Peni who had won the air rifle gold, six days back. Akhil had won an air rifle gold in the 2016 World University Championship in Poland. Men’s 50m Rifle Three Positions: 1. Akhil Sheoran (India) 455.6 (1174); 2. Benhard Pickl (Austria) 452.0 (1173); 3. Istvan Peni (Hungary) 442.3 (1178); 4. Sanjeev Rajput (India) 430.9 (1176); 6. Swapnil Kusale (India) 407.2 (1168).